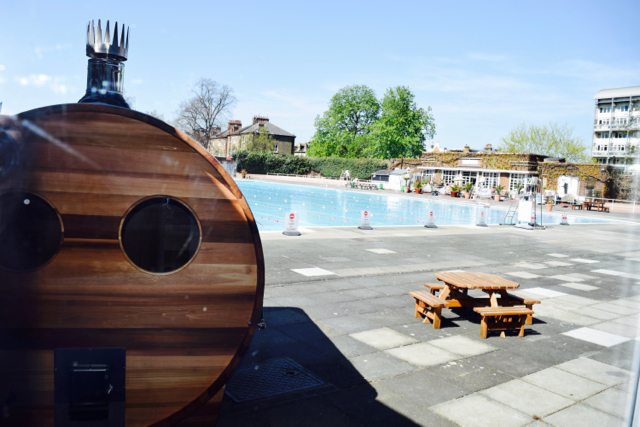 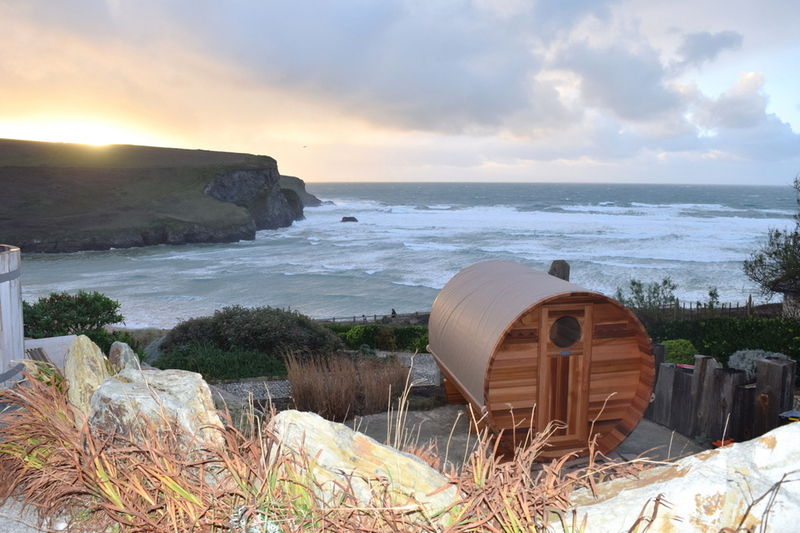 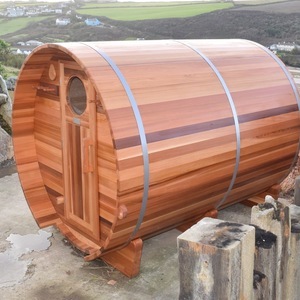 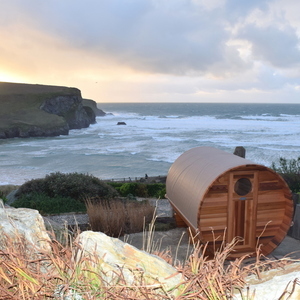 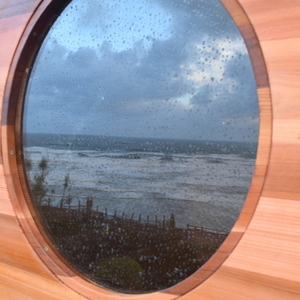 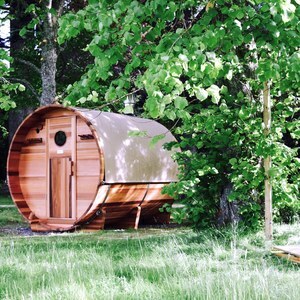 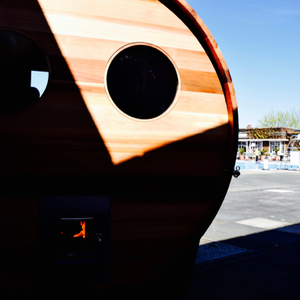 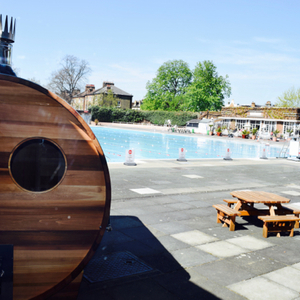 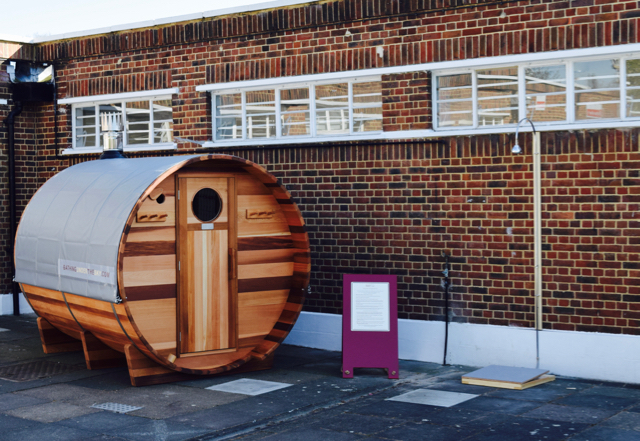 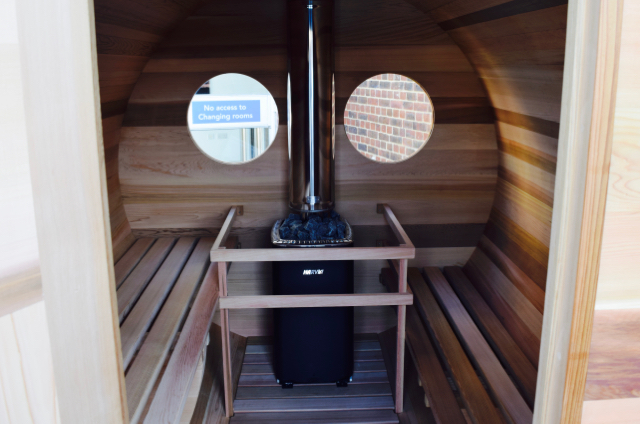 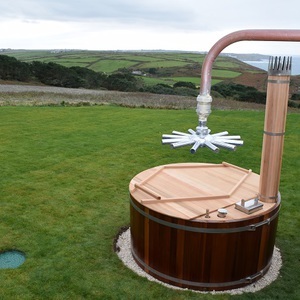 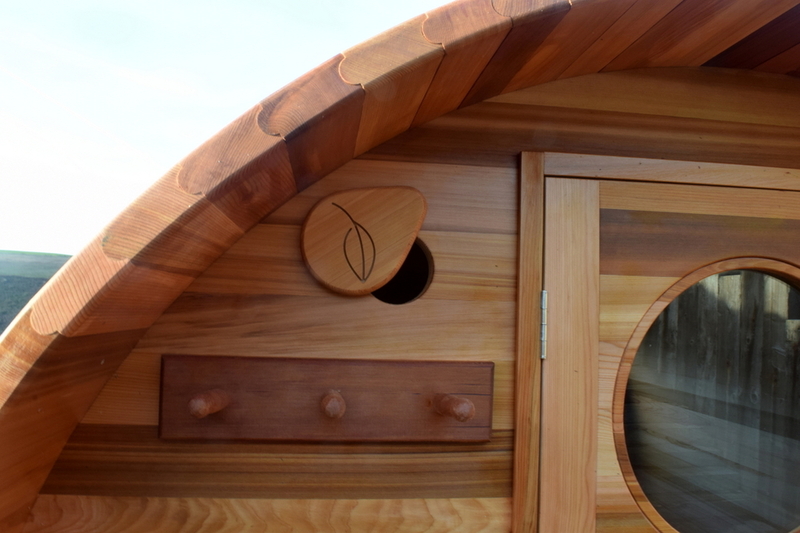 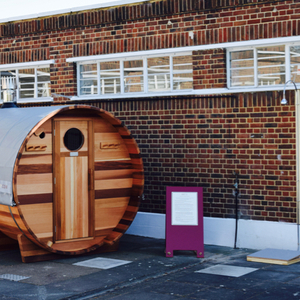 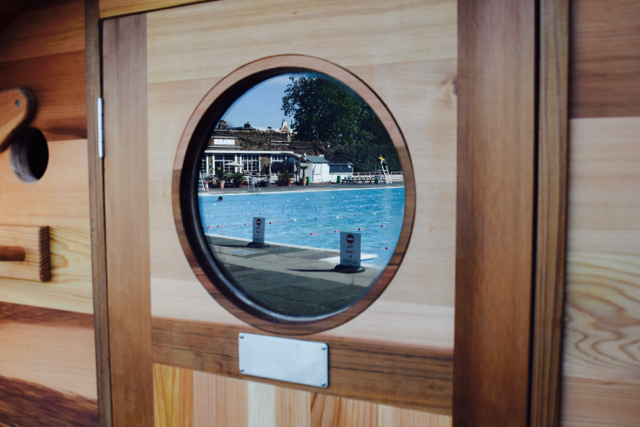 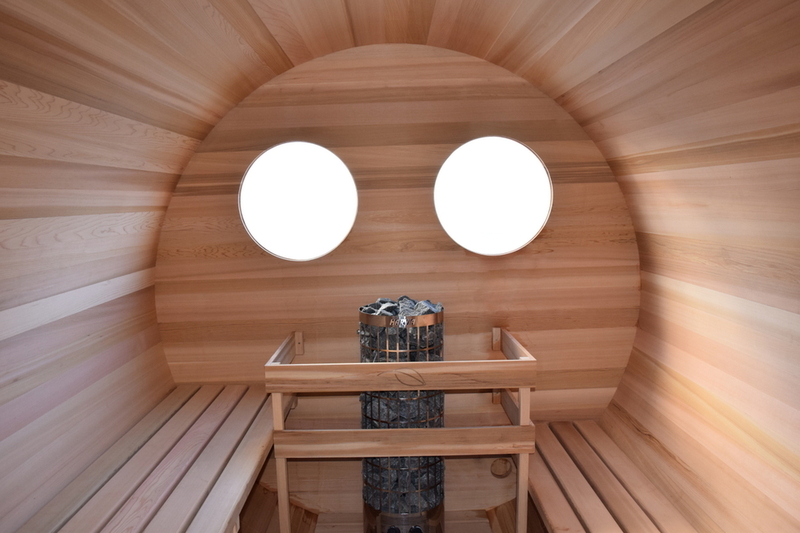 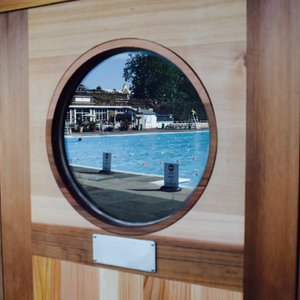 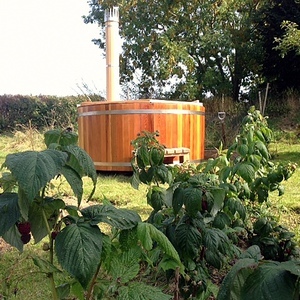 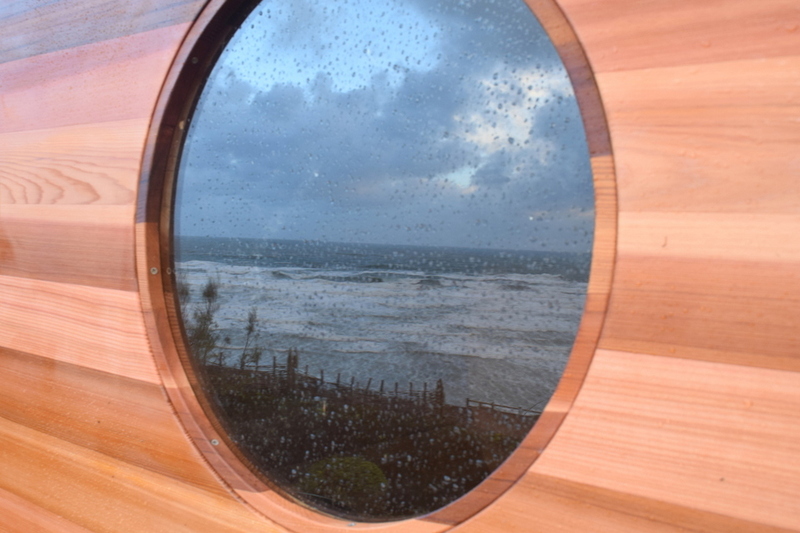 Our standard size wood-fired western red cedar & stainless steel barrel saunas are 2.10 metres in diameter and 2.7 metres long, the wood is 47 mm thick. 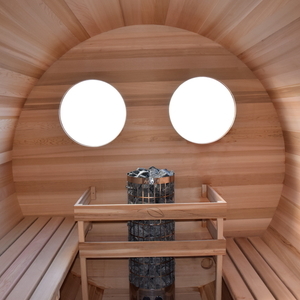 They seat up to 6 adults comfortably. 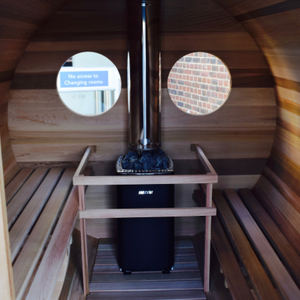 Our saunas are robust and suitable for frequent, heavy duty use. 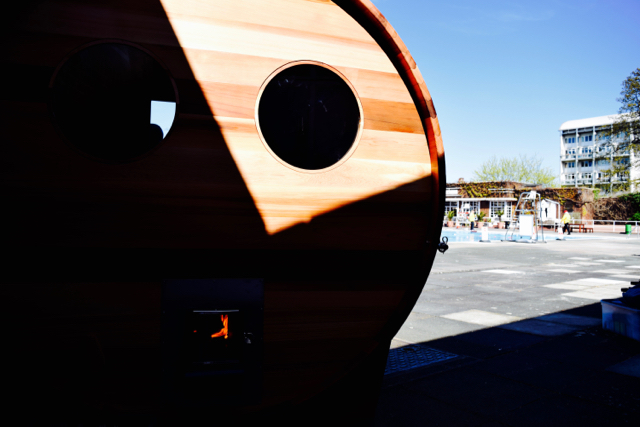 They are made without the use of glue or sealant which produce unhealthy fumes when exposed to hot temperatures. 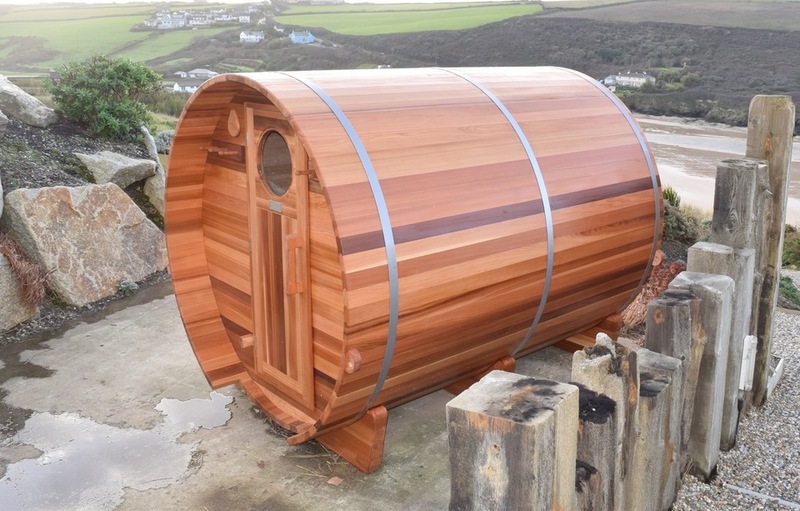 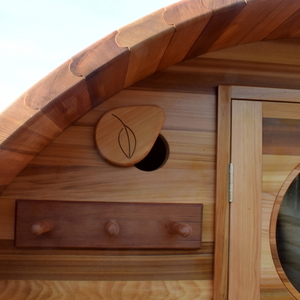 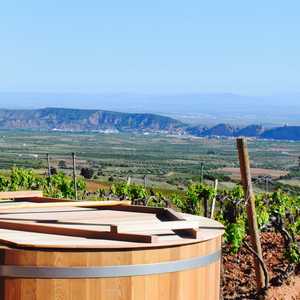 We offer only barrel saunas made from Western red cedar (Thuja Plicata).